Space Catering has a long history of providing its clients with kitchen and restaurant designs that have as low an impact on the environment as possible. They are pioneers in energy efficient kitchen design, continuously searching out new materials and catering appliances that meet this brief. In fact Space was the winner of the very first national ‘Foodservice Footprint Award’ for the ‘Most Sustainable Foodservice Installation’. It is estimated that restaurants consume 7 or 8 times as much energy per square foot as most other businesses, therefore energy efficient kitchen design and more efficient catering appliances could have a dramatic effect on not only costs, but the environment too. Space are experts at energy efficiency consulting and have had some great results. At the University of Winchester, Space installed a state-of-the-art Winterhalter energy-efficient dishwasher, a class-leading commercial dishwasher in terms of water and energy use. The newly installed dishwasher could be fed using the ‘free hot water’ by recovering heat from the remote refrigeration plant. This meant that the dishwasher used virtually no electricity for heating water, resulting in massive energy savings. It was calculated that the pay-back period for the heat recovery system would be less than 18 months. At the Launchpad Training College in Tewkesbury, Space installed i-hob technology. Widely predicted as the future cooking method of choice in commercial kitchens, this energy efficient catering appliance delivers 90% of the heat to the pan compared with 40% from a gas hob. The i-hobs also turn off automatically when not in use or when a pan is not in direct contact with it, saving more energy and money. Space also used induction hobs in the Hotel Verta, London and this – along with the eco- friendly refrigeration – is delivering consistent saving. Space are committed to making a difference through quality energy efficiency consulting. 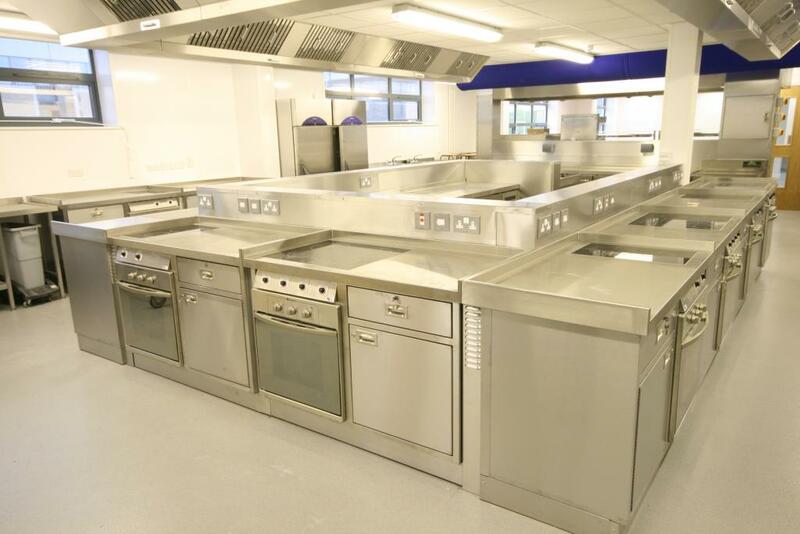 To find out more about our catering equipment and appliance projects visit the portfolio here. To talk to us about your upcoming project, get in touch via email mail@spacegroupuk.com or call 01452 383000.